Antonio Brown's relationship with the Pittsburgh Steelers has been rocky as of late. 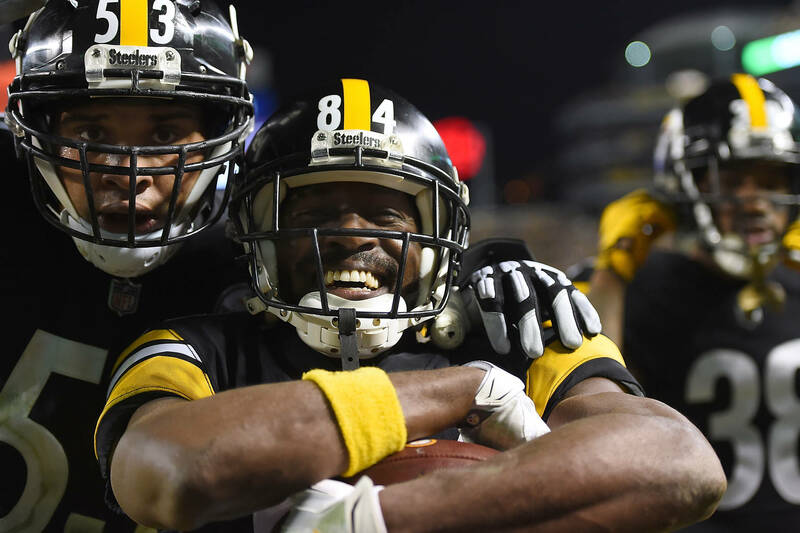 It appears as though the superstar wide receiver wants out of the Steel City, and isn't happy with his quarterback Ben Roethlisberger, or the team's management. While Brown has seemingly not spoken to the team, some players are still holding out hope that a solution is on the horizon. Two of those players are wide receiver JuJu Smith-Schuster and center Maurkice Pouncey who spoke about the situation while doing press at the Pro Bowl. "He helps out the team a lot -- not only myself, he makes the team better," Smith-Schuster said according to ESPN. He added that he doesn't want Brown to be moved. "Obviously I don't control the situation, but if I could, I wouldn't like for that to happen. Pouncey echoed those same sentiments as Smith-Schuster, except the captain went deeper by explaining how important it is to keep the team together as a unit. "We're a band of brothers. We've been together a long time," Pouncey said. "You can't tell me a great phone conversation or a sit-down can't get things right." The Steelers missed the playoffs this season, finishing with a record of 9-6-1.